Bricklink, that institution that we of the LEGO fan community have all grown to love is changing hands. Eliska Jezkova, mother of the late Daniel Jezek (founder of Bricklink), has stepped down as CEO of Bricklink and handed off the reins to Jung-Ju “Jay” Kim, an avid LEGO fan in his own right and founder of Nexon, one of the world’s largest online game companies. It’s a bright future for BrickLink, and I intend to be a part of it along with the rest of the BrickLink Community. Larry and I will be staying on in an advisory-consulting role to the new owners. Eric Smith will be staying on as Admin to ensure a smooth, seamless transition with minimal interruption. Part of that transition will include relocation of the BrickLink site to a different data center. Later today you will learn more about that server relocation and the migration schedule, which has been carefully designed to minimize downtime. It’s been a great three years. I did my best and I am sorry that the hacking incidents waylaid us from doing more, earlier. I am proud of the amazing growth of BrickLink, thanks to all of you. Jung-Ju “Jay” Kim’s words give me further hope that this in the end will be a good thing. I am extremely pleased to be taking over the operations of BrickLink.com. I’ve been a LEGO fan for 40 years and an avid user of BrickLink.com for over a decade. 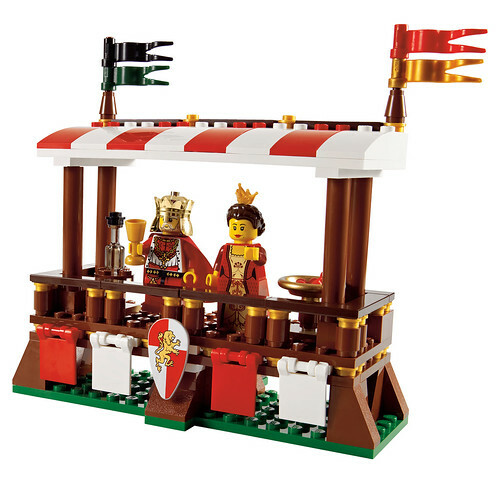 My first plans are to upgrade the website, and do our best to make users happier and more prosperous, while staying true to the original vision of BrickLink.com founder, Daniel Jezek. We will work hard in order to ensure that BrickLink.com becomes stable, secure and as user-friendly as possible. You can read the full announcement on Bricklink. For those of you who don’t know what Bricklink is, well according to Google it is — a fan-operated online marketplace specialized for LEGO sets, parts, and related products. 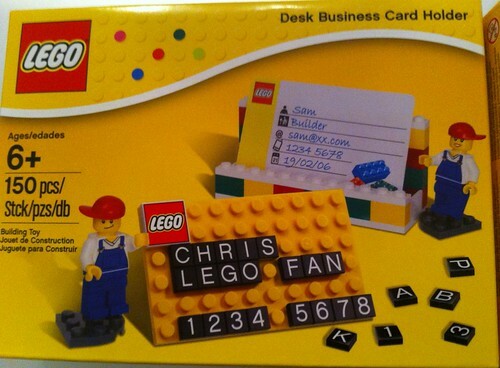 For many of us who have used it consistently it is the one website that transformed the LEGO hobby. It transformed the way we could acquire large amounts of LEGO, and allowed us to sell what we didn’t want and find that one part that we did. Until LEGO’s official Pick A Brick came along, many years after Bricklink’s inception, the only way to get multiples of a part was to buy multiple sets. You may get 5 or 10 or 20 of what you wanted, but you’d get dozens of parts you didn’t want or need. 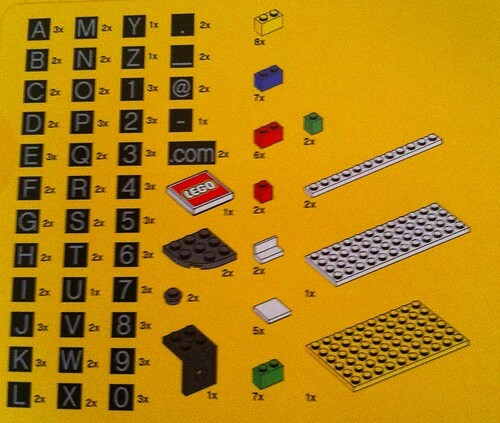 Bricklink was, and still is, the best way to get the exact LEGO parts and quantities of those parts for a project. Sure there’s Ebay, and in fact, Ebay even sued Bricklink many years ago over their original name of Brickbay because it had already gotten too large and they didn’t want the confusion. But Ebay is not Bricklink and never will be. Many of the sellers on there don’t always know what they have. What they claim is LEGO ends up being some clone or imitation. You don’t always know what condition the parts are in or if that big assortment of parts you find actually has anything of use. I can attest that Bricklink not only is integral for my hobby, but also for my business as well. Were it not for Bricklink the supplies of bricks and elements I need for what I create and sell would not be so easily acquired. Especially in the large quantities I routinely order. I thank Eliska Jezkova and Dan Jezek for the amazing thing that Bricklink is and I look forward to seeing what Jung-Ju “Jay” Kim does to improve it. 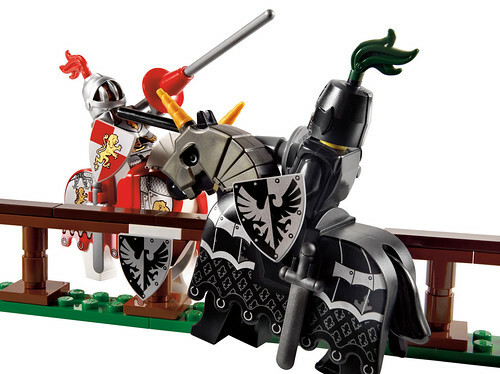 According to Brickset this will be the exclusive set that will be offered over the Thanksgiving Weekend (i.e. Black Friday) for those spending the qualifying amount which is believed to be €75, £50 and $99 USD either at LEGO.com or at the LEGO stores. 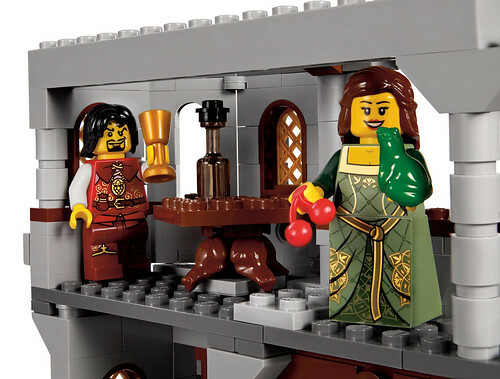 For those that are interested the instructions are already available on LEGO.com There isn’t too much that is exclusive parts wise, but the set itself is pretty cute. “Who” doesn’t remember the classic tootsie pop commercial with Mr. Owl? 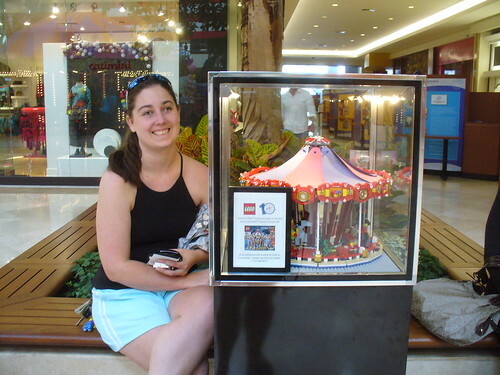 This model made by Kristi “McWii” of Custom Bricks is an excellent recreation of Mr. Owl. My question, where’s the kid? I know I’ve been off the grid for the a while, I’m downloading BrickCon pictures as I type, so my wrap up of the event will come shortly. I also participated in the Creation Nation Event at the LEGO store in San Diego. The very same event is happening this weekend in Portland. Click on the picture for the link. I’ll be writing about that event soon as well. On my recent visit of the San Diego LEGO Store I was shown this wonderful turkey model created by one of the store employees with leftover parts from the November monthly mini build. I have to say, the builder sure has talent. He not only was restricted by the types of parts he could use, he also did really well on sculpting the model as a whole. A little while ago George popped up on Facebook. As he was supposed to, at first it was hard to tell if he was even officially affiliated with LEGO. But also as he was supposed to, George is starting to go viral. And now LEGO has offically annouced their new interactive game. This is a combination of a smart phone app and a LEGO set that will be available through LEGO stores and lego.com. BILLUND, Denmark, September 29, 2011 – The LEGO Group today announced LEGO® Life of George, its first product to combine digital and physical play for a hands-on LEGO gaming experience. Featuring patent-pending brick recognition software, powered by EyeCue, the game challenges players to build models, and place them on a play mat that acts as a “green screen” to capture the image and receive a score based on accuracy and speed. 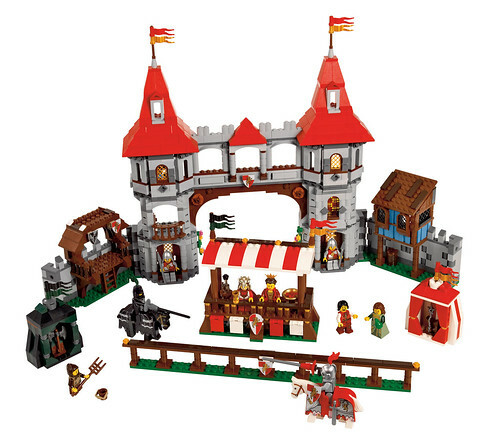 Beginning October 1, 2011, players can purchase the LEGO Life of George set for $29.99 from LEGO Stores and shop.lego.com and download the free Apple iOS compatible gaming application. LEGO Life of George is a 12-level game that can be played in novice or expert mode. Each level showcases an adventure from George, around whom the game revolves, and is comprised of models of varying difficulty based on the number of bricks needed and the building techniques required to replicate them. 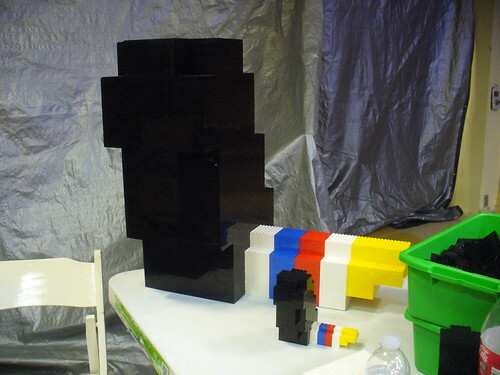 Builders are challenged to physically recreate the virtual models from George’s photo album using the LEGO bricks included with the game; once they have successfully completed all 10 models the next level will be unlocked. In addition to Game Mode which can be played alone or against one competitor in a pass-and-play format, a Creation Mode called “My Life” enables users to design and capture their own models in the app’s virtual scrapbook. George is a software engineer by day and adventurer by night. His main hobbies are travel, photography and numbers, and has a fun storyline for players to follow and engage with via his Facebook page, I Am George. Fans can expect to see updates and photography from George on his travels as well as hints to new game levels and app updates through his posts.